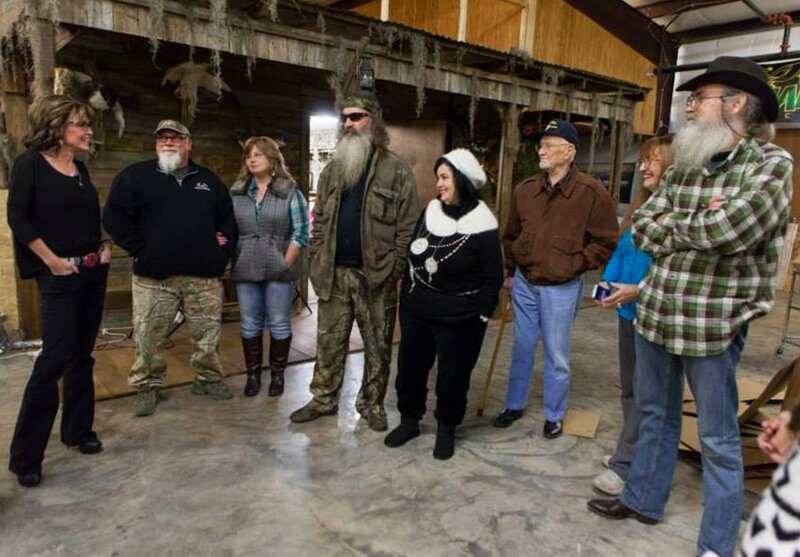 Former Alaska Governor Sarah Palin met some of Duck Dynasty stars over the weekend while on her book tour in Monroe, Louisiana. “Had a blast meeting the Duck Commander gang as well as the great folks who came to the book signing yesterday evening,” Sarah Palin wrote Sunday on Facebook. Sarah Palin recently released a book, Good Tidings and Great Joy: Protecting the Heart of Christmas.